It was one of those trips. I received a call from a good friend of mine asking if I would cover for him for a few days. He lives in the south of France, and his son’s 18th birthday was the day the tour was scheduled to finish. Originally his brother was going to cover for him, but he was so busy with his own work he could not take the time off, so I happily obliged. The schedule was easy enough. 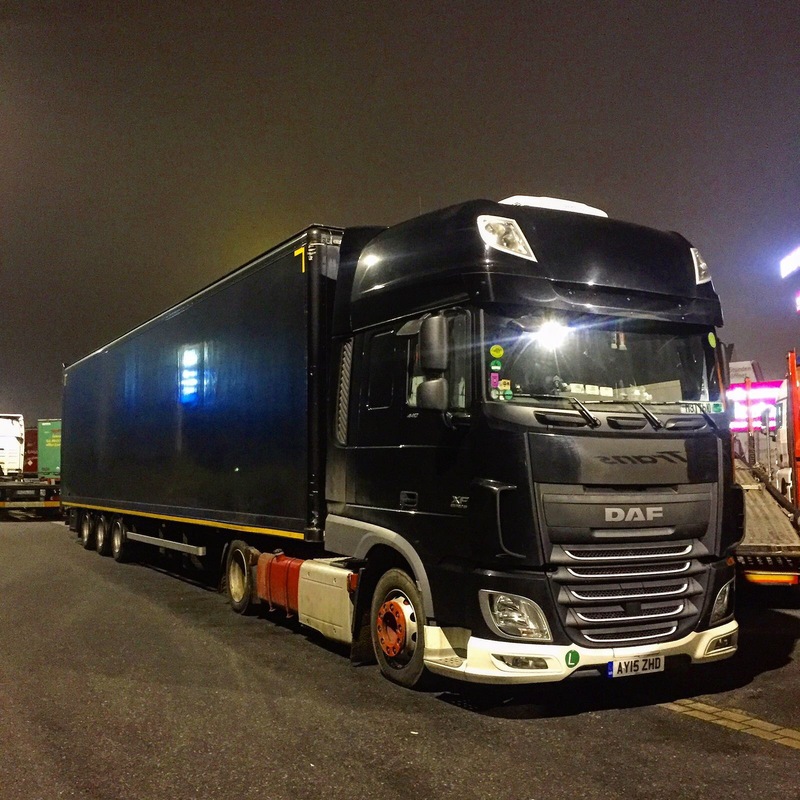 Take my friends car to the 02 in London, and take over the truck. Go to Dublin for two shows, ship back, tip off at Heathrow for the equipment to be air freighted to the States and go home, what could go wrong! Well we didn’t even leave London before it all changed! Just before I went to go and load out sunday evening I got told by our lead driver to go and wait at the coach parking as Dublin may well be off. Sure enough, due to illness we were not going to cross the Irish sea this time. Come the morning a desicion will be made what is happening. I was asked if I had my passport as there may be some equipment to go back to Holland, no problems, I would be happy to get back across the water one more time this year, where as everyone else had their sights set on home having been away for some time at this point. The first part of the new plan was to head north to near Wakefield, where several trucks would be tipped and the loads shuffled about depending on what would be going where. 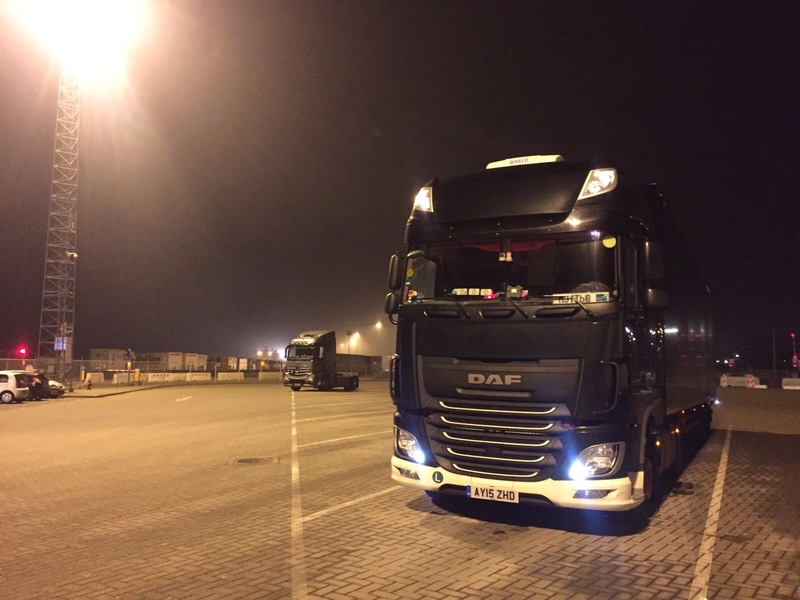 A few of us (myself included) were told to wait at Markham Moor truckstop initially as the loads we had would not be required initially. I decided to stop at Stibbington diner en route to eat as my culinary experience in the past of Markham Moor has left a lot to be desired, and sadly i think this is still the case, the place could do with a overhaul. 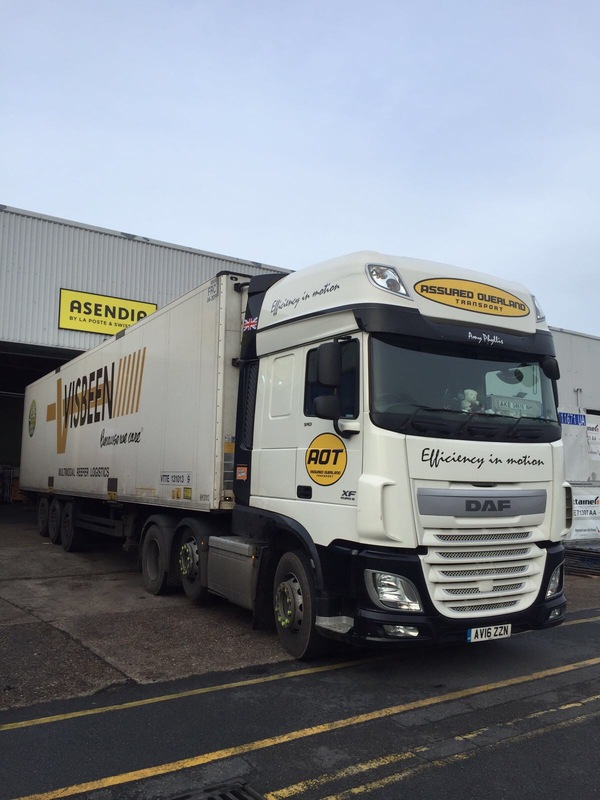 We soon moved onto the Stockyard truckstop, which was closer to Wakefield and also Robin Hood airport, where the airfreight was planned to be going from instead now. Close to 5pm, I got the call from the lead driver. 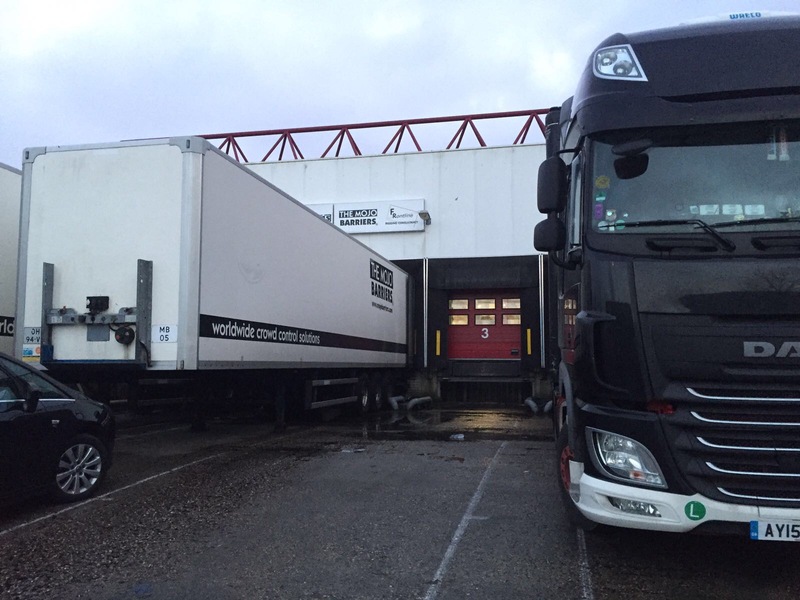 “I have just finished loading the trailer for you, you have Germany Belgium and Holland to tip, I will be with you soon to swap trailers” quite a change them, and as yet no details where exactly but they will follow tomorrow. 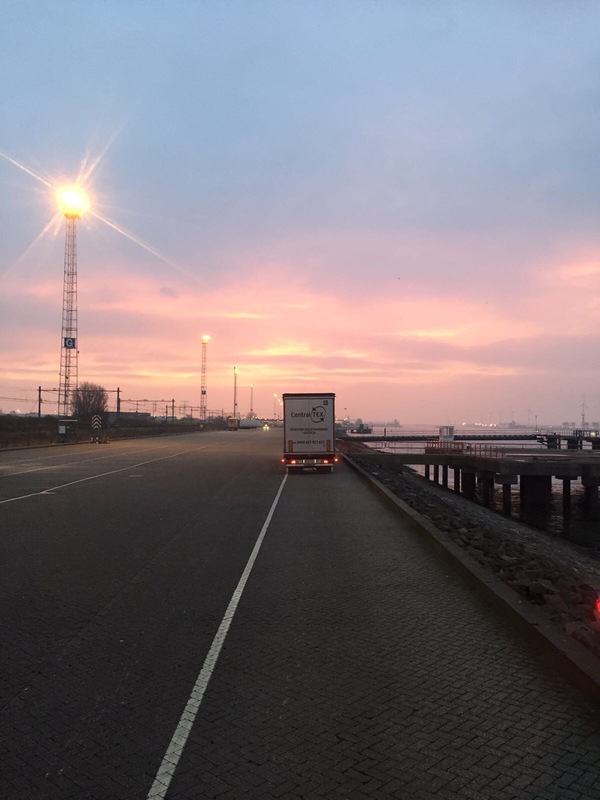 So after swapping trailers I headed back to the yard to swap into my own truck for the trip, and made my way the following evening to Harwich for the night ferry out. 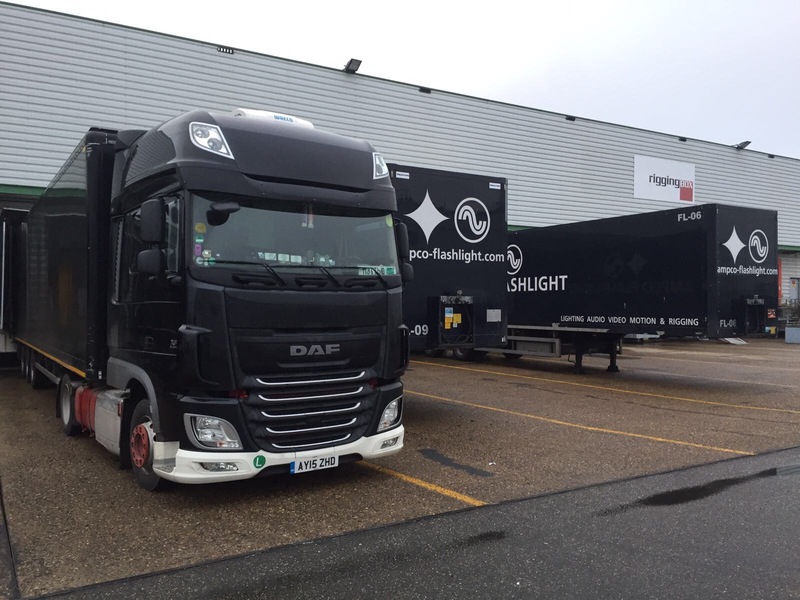 The Germany part was to just outside Stuttgart, over 8 hours drive from the Hoek of Holland. Upon disembarkation and with my split ferry rest finished I was off southbound. I decided to head across towards Nijmegen and then south towards Venlo as a couple of months previous one of the main motorway bridges to the north of Breda had been closed to anything over 3.5 tonnes, clearly some cracks had been found. It was a fast and uneventful route across, and with a 15 minute stop at the German border for a brew while my German OBU toll collect unit fired into life I was off again south. There is a choice of 2 routes south from here, either the 3, which is busy but generally 3 lanes, or the 61, which is a tow lane most of the way and a lot is no overtaking for trucks, not ideal. I plumped for the 3 because I did not want any hold ups. Luckily for me, the traffic flowed well, I think being so close to christmas helped. After contacting the company I was heading to I was going to get there just before they closed for christmas, but they would wait for me! Sure enough, 5:45 in the evening I arrived outside their gates, they had to unlock the back gates for me to get in as some builders had decided to park opposite their gate so I had no chance of getting in that way. Straight onto a bay, and within 5 minutes their equipment was off, probably one third of a trailer maximum. I decided I would be best putting in a 10 hour day with 3 drops still to do tomorrow I may need all the help I could get. I got back between Karlsruhe and Mannheim and managed to squeeze across the back of some parked trucks in an Autohof with about 15 minutes to spare on my time. Across the road I had noticed a 24 hour truck wash, that was plan one for the morning then as both the truck and trailer were dirtier than a tramps pocket! After my 9 hours off, freshly showered and fed I rolled around to the truckwash at about 4am. two trucks stood in front of me, and before long a few behind, yet not much seemed to be happening. After a brew I wandered up to the front to see only one man working that i could see, I decided to give him a bit longer to see if things got moving, which they did of sorts, we all moved in front of one of the doors, but by now, with almost an hour lost nd still 3 trucks to wash i had to abandon my plans. After having a quick work, I drove straight into the wash, and straight out the other side and off north, sadly I didnt have the time to wait about and get the truck clean. Thankfully despite the lost hour i didn’t suffer with traffic issue. I had opted to return back via the 61 as I was heading to a small town called Tildonk just outside Brussels. I arrived here just before 12, and after backing in the man in charge said to me “Ah we were just about to go to lunch as the boys are hungry, but we will offload you first. Would you like a coffee?” English companies take note!! This is how to treat drivers, with a little respect, not disgust! With drop 2 prompty off, I now had the afternoon to get to Utrect and 2 deliveries fairly close to each other, but first I had to have a 30 minute break as I would not quite make it otherwise, so I opted for Meer truckstop. After a wander around the shop and in the rather empty parking area with my camera I was off again. The first drop was not easy to find as it was in a transport yard but the signs saying they were also in there were not too obvious. once again, straight onto a bay and with 5 people in the trailer I was almosty in the way trying to help! With that done, one was left to do, so straight ‘around the corner’ (about 5kms roughly) to the last drop. A good friend of mine now works in the office here, and was shocked to see me appear at 4:30 on their last day before christmas! They had actually forgotten that any returns would be coming back. He made me a coffee and we chatted about work and also his newborn son, I dont think I have ever met a prouder dad! By the time the coffee had been downed, their warehouse staff had offloaded the trailer and I was empty and good to go. All that remained to was get to the hoek for the night ferry home. The traffic there was really quite busy, but I managed to make it in and park waiting with about 20 minutes driving left on my second 10 hour day, good job I decided to do one the day before too. Whilst on the boat I bumped into a friend of mine who works for a company I do casual work for, he was on his way back home for christmas after being away for the last 6 weeks. Once off the boat in the morning it was just a case of straight back to the yard, empty the truck and go home. That would have been it for christmas, but being very bah humbug and with a holiday looming I had volunteered to another company to work if need be, so christmas eve found me back down Harwich picking up a Visbeen fridge but loaded with post from holland for Hounslow and Slough and collecting mail to return, a nice easy run to round the week, and also the year off. 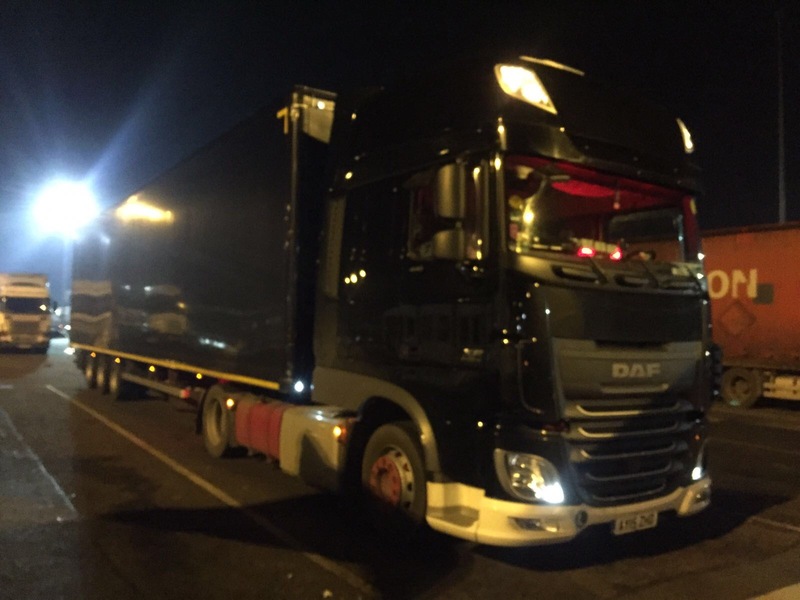 This entry was posted in DAF, Drivers Photos, Guest Writers, International Mega Trucking by truckbloguk. Bookmark the permalink.